Yes, the date is accurate, from what I can tell. You are looking at one of the thirty-six 12×12″ squares that make up the crazy quilt that I just bought today. It isn’t even the best square. It’s made mostly of wool, with a cotton back. No batting, as is the standard for crazy quilts. The embroidery is done in wool. It has some awkward repair patches in some places, some of which I will probably remove to expose the stitching beneath, even if the fabric has disintegrated. This isn’t the greatest photo because I didn’t want to use a flash. I was going to hang it using a sleeve and rod, but I’m beginning to reconsider that. I’m willing to hear recommendations. 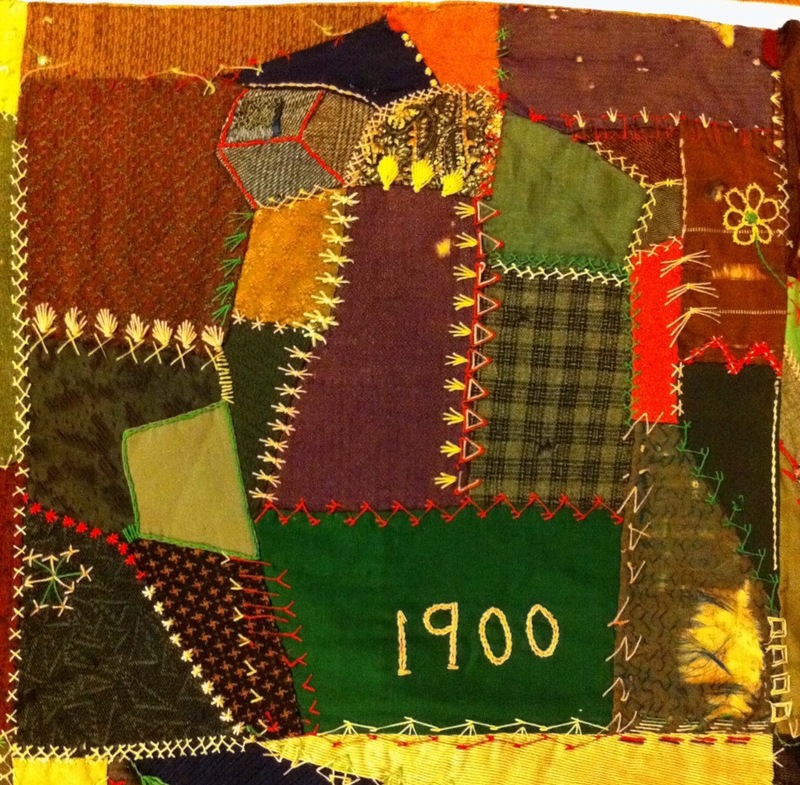 This entry was posted in Quilting, sewing and tagged Antique, Crazy quilt, fabric, quilt, Quilting, Sew, sewing, Textile, Victorian, vintage. Bookmark the permalink.